The VX-160COAX system can connect through an Ethernet extension with remote PoE ability utilizing a coaxial cable. This kit includes one master unit and one slave unit. 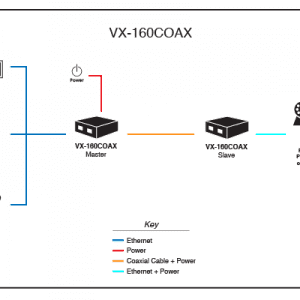 The VX-160COAX master unit sends data and power to the slave unit through a coaxial cable. The master unit is powered by the local high power PoE Injector. The slave unit regenerates the power and offers PoE capability that powers a remote powered device. 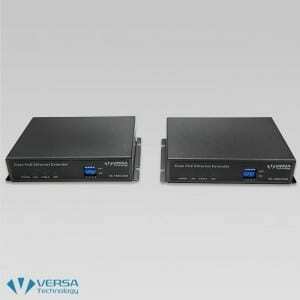 When powered by a 48V power adapter and a 100m Ethernet cable, this unit offers up to 15.4 watts to powered devices. 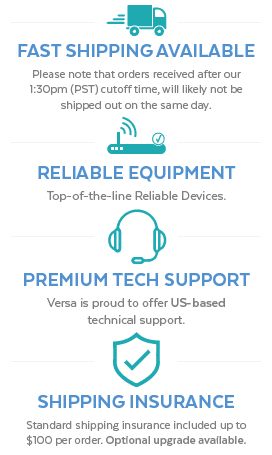 The VX-160COAX system also includes a wall mount option. 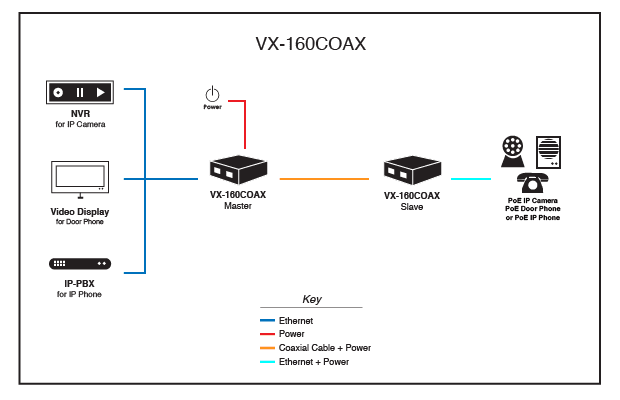 The VX-160COAX master unit connects with the slave unit via a BNC connector and 5C2V cable, and up to 4,500ft distance with a coaxial cable when a 48V high power adaptor is utilized. Managers are able to select different data rates from the DIP switch on each unit for varying distances and gauges. 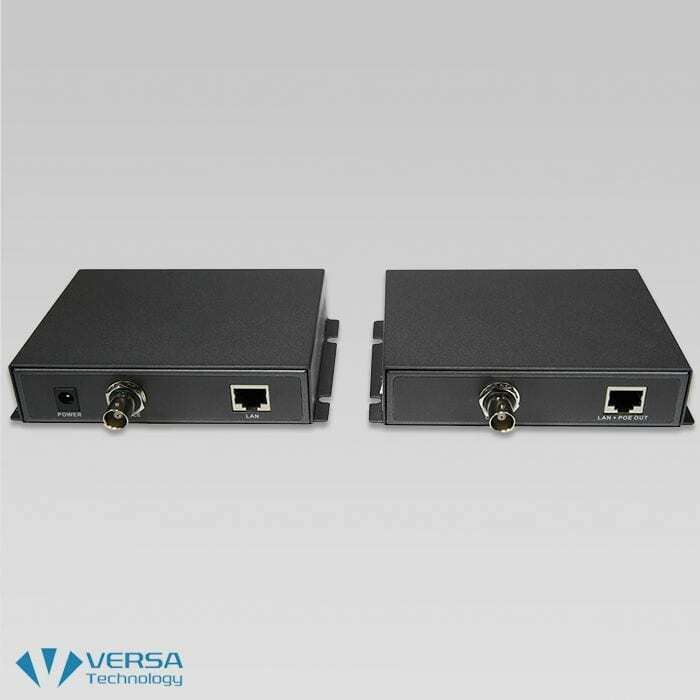 In full-duplex mode, the maximum data rate is 60 Mbps, depending on the cable gauges. This unit adheres to the Safety Extra Low Voltage (SELV) requirement. 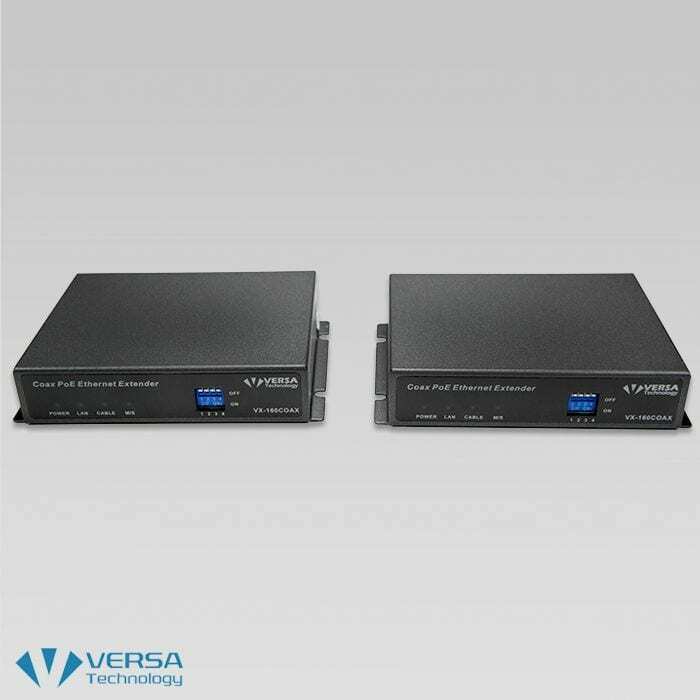 A VX-160COAX system provides a budget friendly solution for remote power applications such as LAN-to-LAN connection, Video Streaming, FTTB, and MDU/MTU over a single twisted line. Distance Up to 4,500 ft.